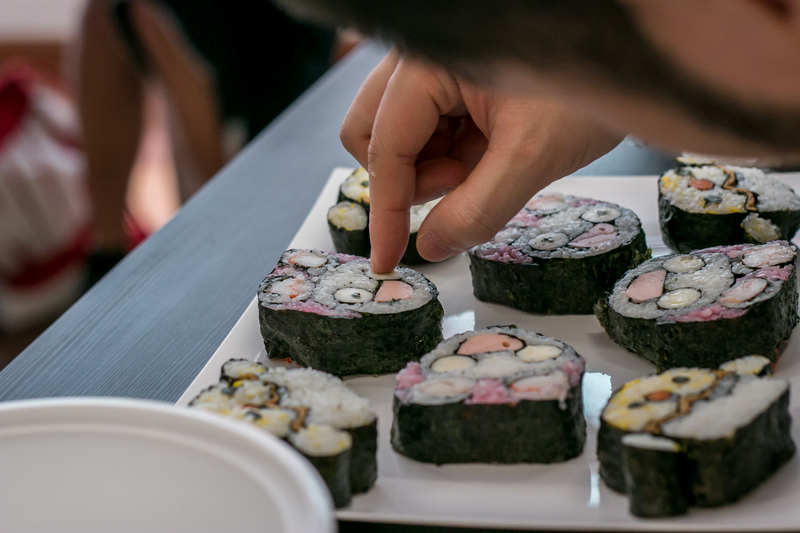 As Easter Sunday approaches, why not surprise your family and friends with cute and innovative Easter sushi creations? 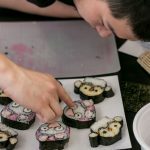 Kazari Maki-Zushi (sushi with special designs and decorations) are not only delicious to eat, but also cute and fun to make! 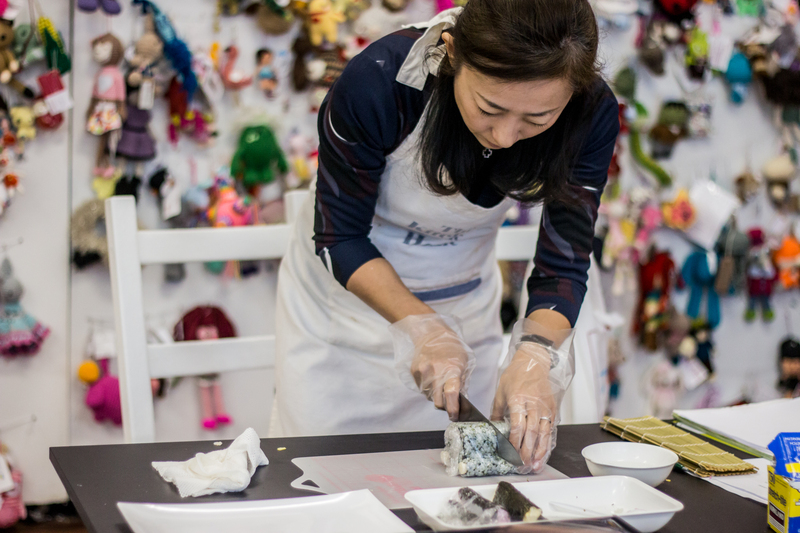 For this Kazari Maki-Zushi class, you’ll be making cute chick and rabbit sushi pieces to celebrate the Easter holiday! 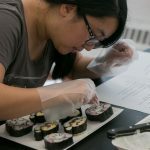 These two kinds of Easter sushi for this class are made with natural ingredients (as listed below) that taste great, just like regular sushi! 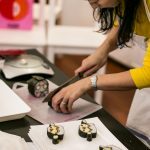 By manipulating the natural colors of each ingredient, you can design an interesting and delicious sushi piece. 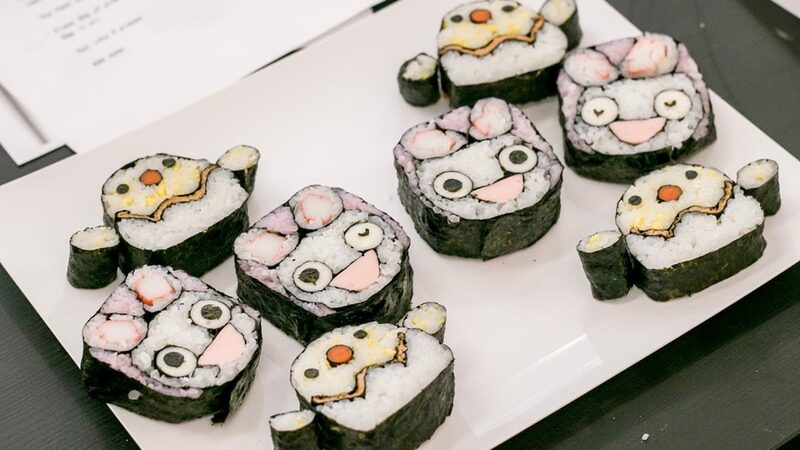 The cute designs on these Easter sushi can be made easily, so no sushi-making experience is required and it’s a good way to impress your friends at upcoming holiday parties. 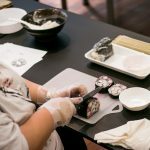 Kazari Maki-Zushi is a patterned or decorative sushi that is derived from the several sushi techniques such as Saiku sushi and Futomaki sushi. 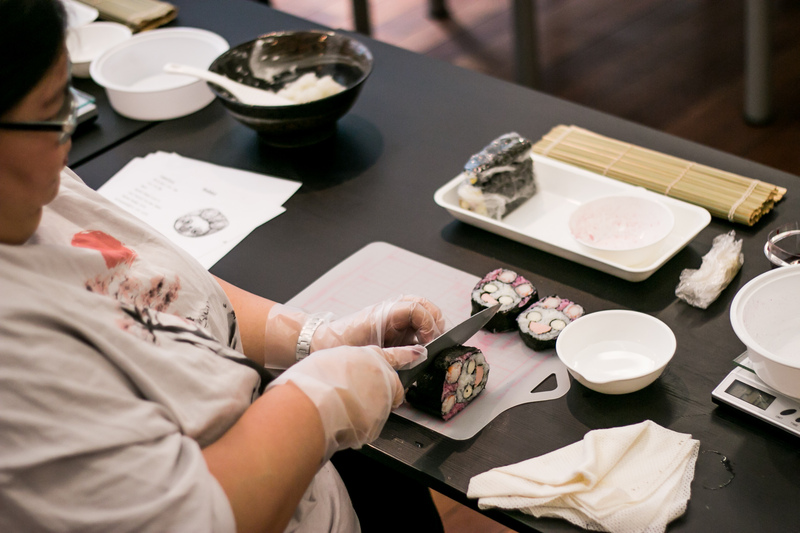 It is undoubtedly sushi, but the appearance and design of each roll are filled with endless possibilities! 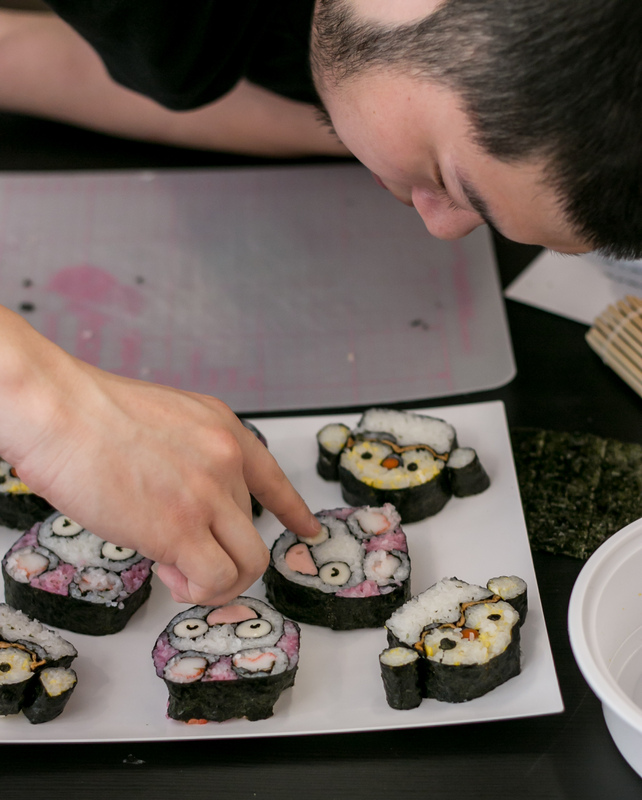 A Kazari Maki-Zushi’s design can be anything – flowers, fruit, animals, words and even logos! 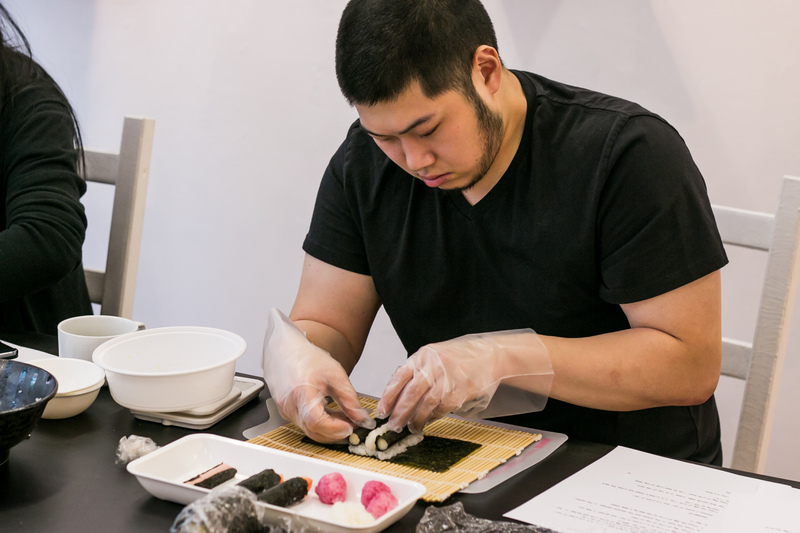 Whatever your creativeness allows, Kazari Maki-Zushi can be almost anything. 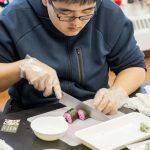 Using various natural colors of ingredients you see every day, Kazari Maki-Zushi is a fun way to play around with sushi designs. 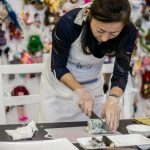 This food/art form has been developed for over 150 years, and still, new ideas are created everyday in Japan. 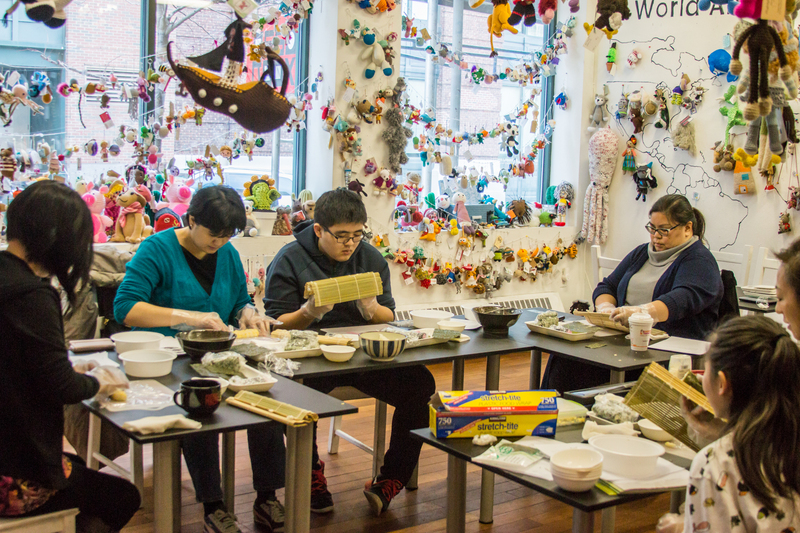 And it’s even a great way to show off your artistic skills at parties or potlucks! 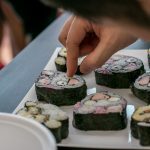 Although it looks difficult, this decorative sushi is very simple and easy to make! 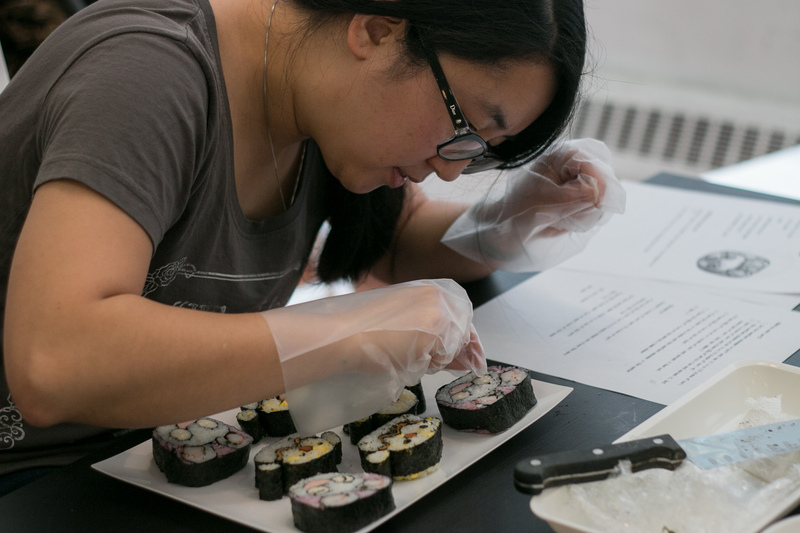 No prior experience is necessary as it involves a different process than creating regular sushi. 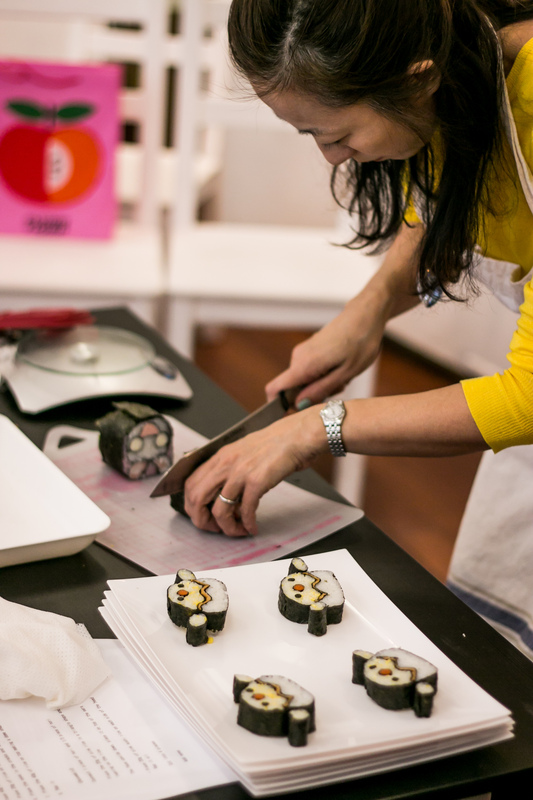 Making Kazari Maki-Zushi is much like building with Legos, where each piece is stacked to make a picture! 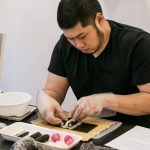 Kazari Maki-Sushi represents an important unique aspect in Japanese food – not only in taste, but also in the beautiful visual appearance that serves to please those who enjoy it. 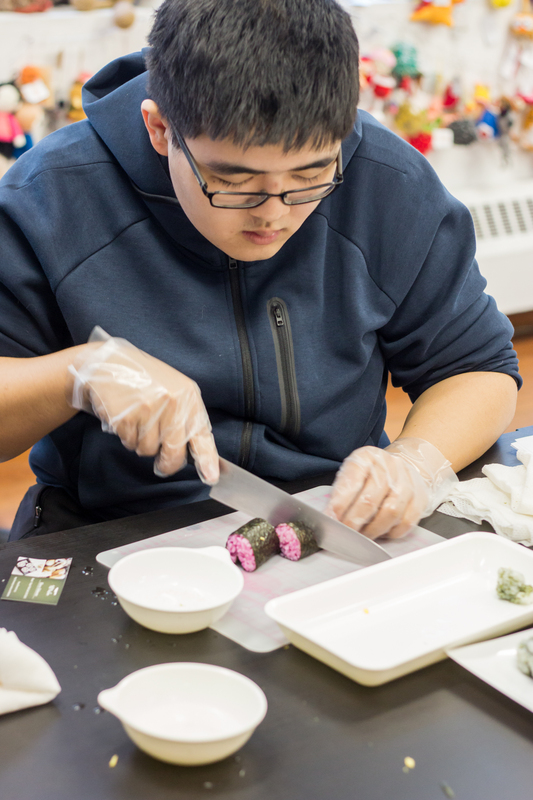 Making Kazari Maki-Zushi is also a great way to enjoy company, whether it be friends or family and is especially popular with kids! 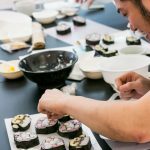 Even if your homemade Kazari Maki-Zushi isn’t well-prepared, the process of making and seeing your finished pieces on the dining table creates joy for all who see (and eat!) it. 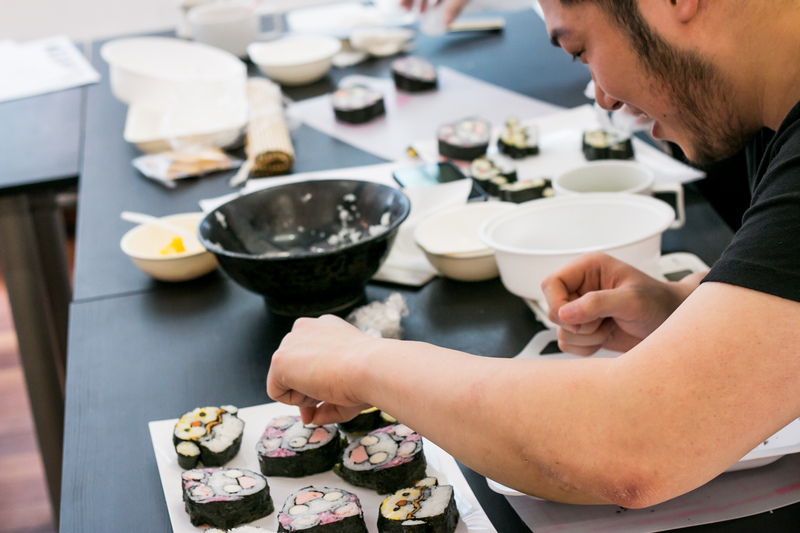 For more workshops in this series, visit our Japanese Cooking Workshop page. Hiroyo Belmonte is a native from Hokkaido, Japan. 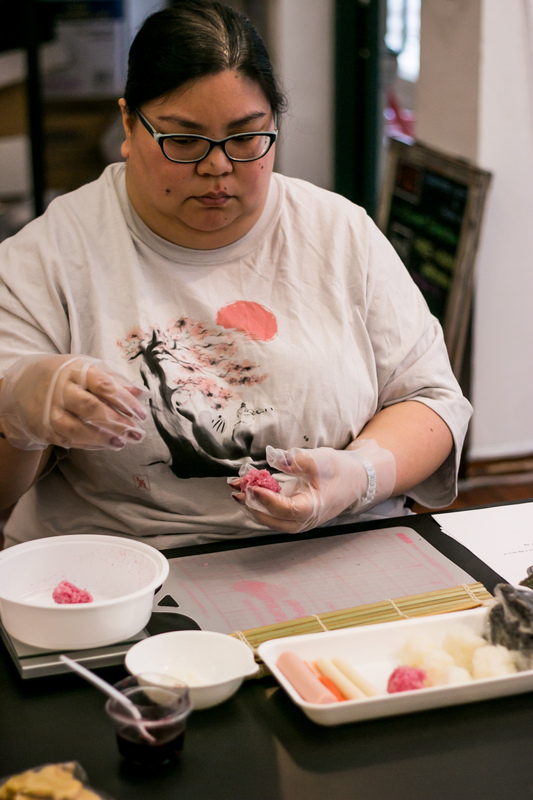 She had studied baking, pastry, and Wagashi (Japanese sweets) for many years in Japan. 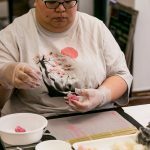 When she moved to New York in 2003, she enrolled and completed a course in Techniques of Bread at the Institute of Culinary Education. 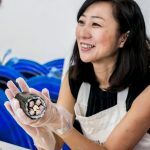 As a mother of four children and always concerned with “healthiness” of baked goods, she makes non-preservative and uses organic ingredients as much as possible. Some of her popular baked goods include an-pan, a red bean paste bread, honey bread, and melon pan. 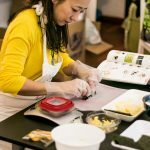 Hiroyo also holds a Level 1 (highest class before master certificate) instructors certification for decorative sushi from JSIA (Japan Sushi Instructors Association). 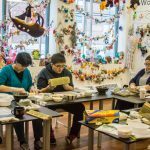 Her students and clients are not only Japanese, but include people from other countries. 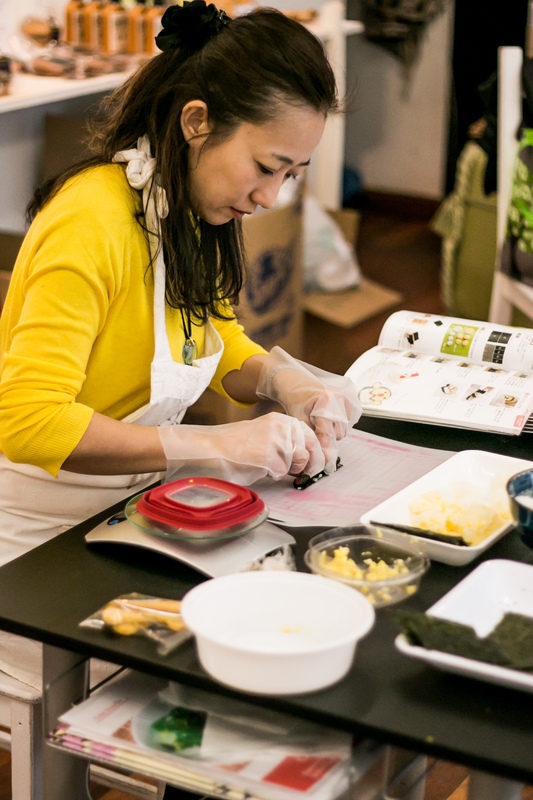 With the advantage of understanding different cultures and their tastes, Hiroyo modifies recipe’s that suite them.